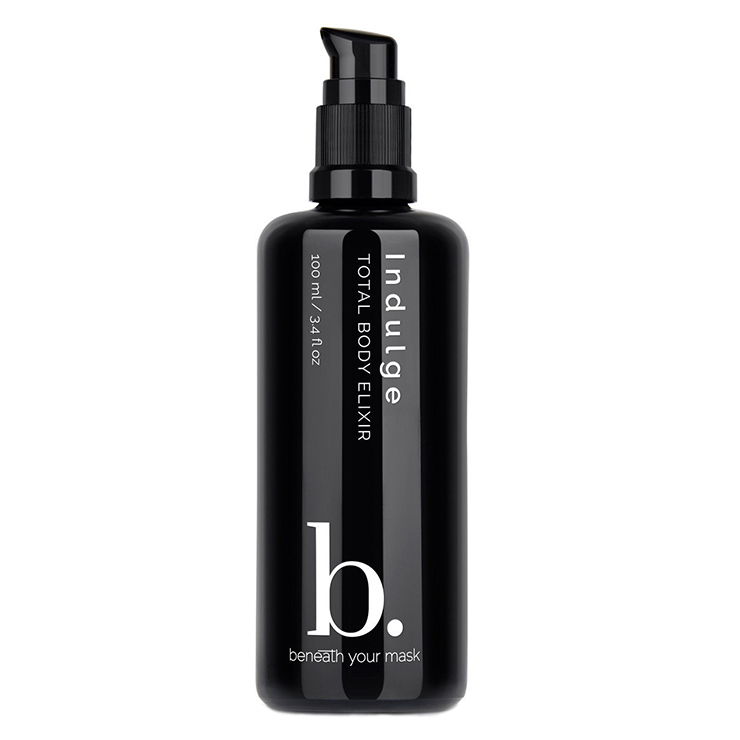 Drench skin in the feeling of luxurious moisture and nourishment with Beneath Your Mask Indulge Total Body Elixir. Made with an assortment of luscious plant oils to give skin a pampered and protected sensation. Baobab and carrot seed oils improve the appearance of loose or sagging skin, offering a look of rejuvenation and boosted firmness. Macadamia and pomegranate oils reduce feelings of itchiness, irritation, and discomfort, while ylang ylang makes the complexion look smooth, even, and youthful. The light scent indulges the senses. Apply luxury body oil to clean skin and massage. Use as desired. Sunflower Oil*, Baobab Seed Oil*, Grapeseed Oil*, Apricot Kernel Oil*, Camellia Seed Oil**, Golden Jojoba Oilc, Macadamia Nut Oil*, Sweet Almond Oil*, Tamanu Oil*, Pomegranate Seed Oil*, Sea Buckthorn Berry Co2 Extract†, Ylang Ylang Essential Oil*, Lavender Population Essential Oil**, Grapefruit Essential Oil*, Myrrh Essential Oil†, Geranium Essential Oil*, Carrot Seed Essential Oil†, Lemongrass Essential Oil*.